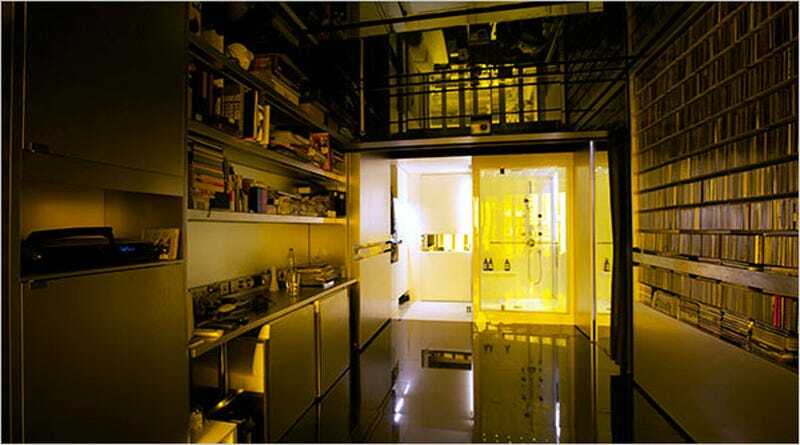 Hong Kong architect and technophile Gary Chang has the most amazing apartment. His 344-square-foot space can be shifted into at least 24 different layouts, using a funhouse's worth of sliding walls and detachable shelving. Chang has lived in this apartment since he was 14, moving in with his parents and three younger sisters. Back then, he used to sleep in the hallway. Now, he uses a hydraulic Murphy bed that he designed himself, which is usually hidden behind a sofa during the day. Turning his apartment into what he's named a "Domestic Transformer" hasn't been cheap. It only cost $45,000 to buy, but his latest design efforts came with a $218,000 price tag.